No doubt you’ve seen someone carrying a straw bag around this summer; it’s seems to be the hot summer trend in accessories for 2018. When we hit the beach over Memorial Day, I think every other woman was carrying one of these on the boardwalk. 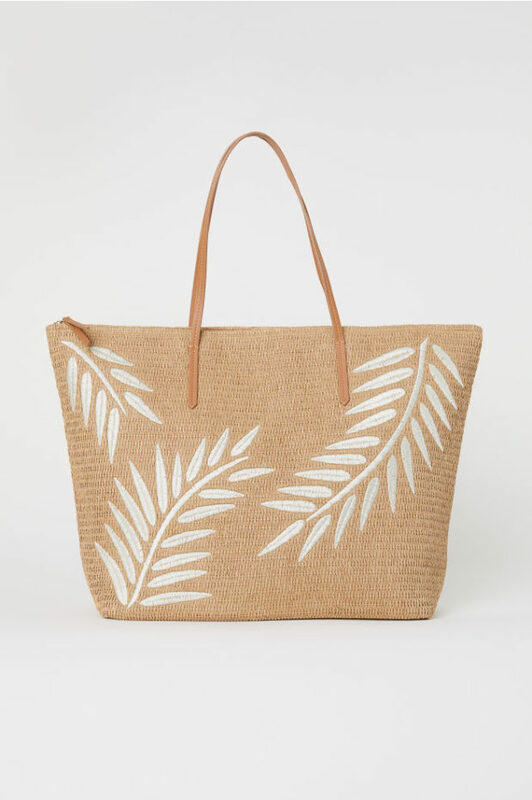 Straw totes aren’t a new trend but they are definitely more popularly than ever this season. 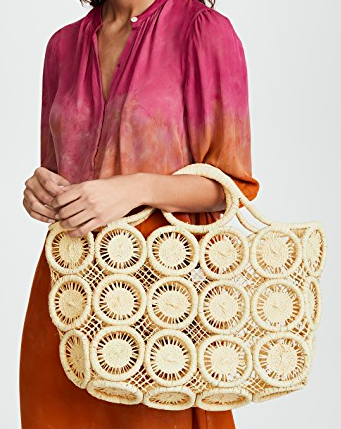 From small round totes to clutches to the big straw basket bag, we’ve picked a couple of our favorites here if you are considering adding one of these to your collection this season! The Bamboo Handbag seems to be the it bag of the season. We like this version on Amazon, for the price and for the free scarf that comes with ordering. You can’t beat the price on this Striped Straw Tote at Old Navy – the blue is $30 and the pink is on sale for $17.97! Plus, depending on what day you click, you know you’ll be able to find some sort of coupon code. 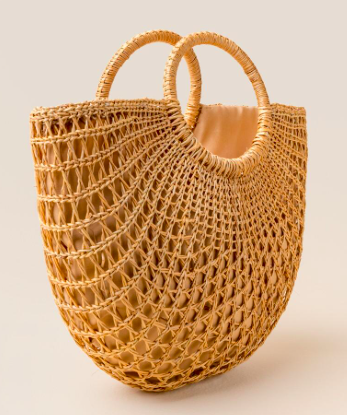 We love the look of this Macrame Tote at ShopBop, do you? The Zipper top is nice on the Straw Bag, as is the little feature designs. And H&M prices are always amazing. Looking for a straw bag to take overnight? 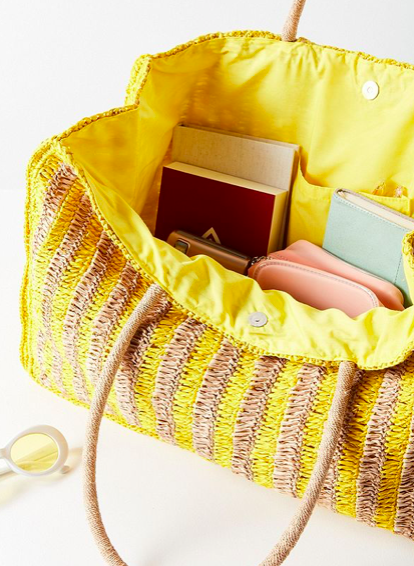 The Extra-Large Woven Tote Bag from Urban Outfitters will do the trick. Cute! 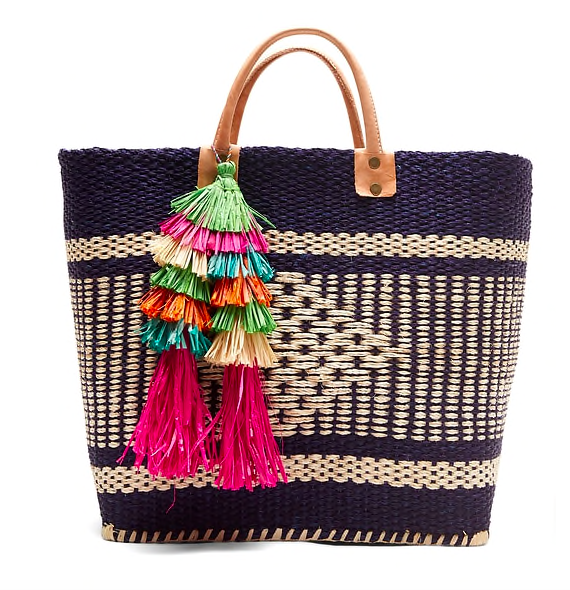 The Luna Straw Tote from francesca’s is definitely a great every day option. 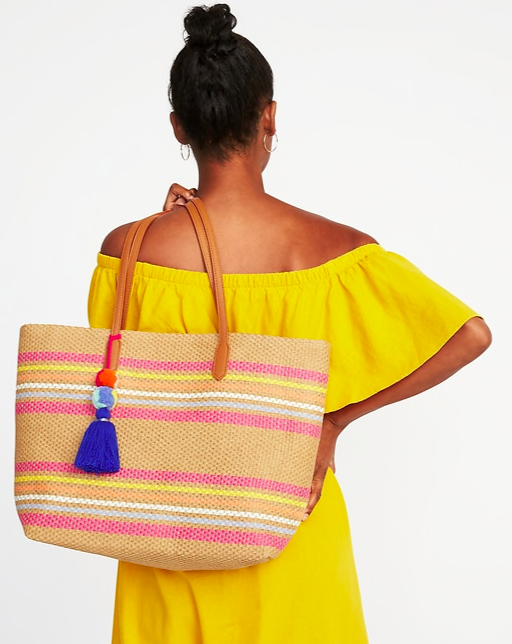 Aren’t the tassels dreamy on the Ibiza Tote from Banana Republic? 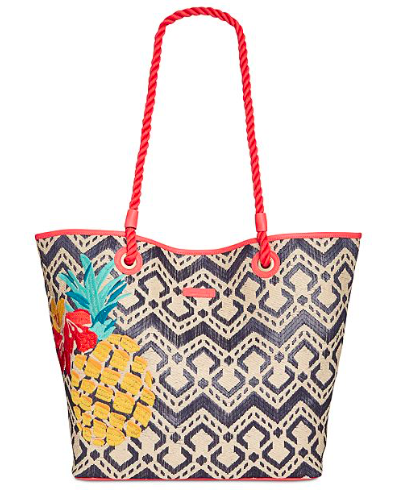 Vera Bradley makes some adorable print straw bags like this Beach Tote above. Several of them are on sale at Macy’s for $40.